Let’s take a minute or two and talk about dirt bikes guys… With the recent announcement from Honda introducing a slew of new dirt bikes, I thought it was a good time to bring this up as we still have a hole in the market – in my opinion. Where is and or what is the hole that you speak of? Good question! Let’s say you’re looking to purchase a new off-road motorcycle, a dirt bike, you’re open to different engine sizes etc. You’re not a motocross or woods racer and you don’t ‘need’ to have a 60+ horsepower bike or big money suspension that you could send it off the roof of your house and still live to tell the tale. You do however want something with decent suspension, preferably inverted forks and of course you would like for it to be decently peppy in the performance department though and not be a complete snooze-fest when you roll on the throttle, let’s say at least 25’ish horsepower – just to pick a nice medium number. You would prefer it to be fuel-injected, that’s the wave of the future and everything is migrating that way anyways. I could ramble on about a few other small tidbits but we’ll keep this on the shorter side so I don’t end up writing a mini-novel. Now let’s say you want all of that but you don’t want to break the bank, you would prefer to keep it at a max of $6,000. That may not sound like a lot of money to some but to many people that’s a decent chunk of change to drop on a dirt bike, something you can’t use to commute on to help offset the costs etc. This is nothing but a toy at the end of the day. 2019 Honda CRF Dirt Bike Model Lineup Announcement #3 – Coming in November of 2018! Now if those requests sound like something you would be after, you would be up a creek without a paddle when it comes to Honda’s CRF dirt bike models for 2019 and technically for quite a few years behind us. Yes, you do have the CRF230F but it doesn’t check any of those boxes other than the fact that it’s under $6,000 with the 2019 CRF230F coming in with a price tag / MSRP of $4,349. Don’t get me wrong, the CRF230F is a great dirt bike for the trails but… Let me say this again, this is my opinion and it may vary greatly from yours but I think the CRF230F is a little lacking in multiple departments if you like performance-orientated toys but don’t technically need a flat-out race bike. For the money though, you’ll have a difficult time finding anything that is as capable as it. I just would want something a little more, a little better. The suspension should you get aggressive can be pushed past its limits fairly quick and the 19 horsepower that he CRF230F’s engine pumps out is fine for the average person and is a tractor as you can just lug it around low in the RPMs etc but it doesn’t quite satisfy that ‘need’ that a lot of guys or girls have. I could be a little more picky on some things but we’ll cut the CRF230F conversation right here so we can jump into the other aspect of this conversation. All right, so we’ve figured out that the CRF230F might not be enough for everyone when it comes to a trail bike. You want something faster, just a technically better dirt bike all the way around. Your next option when it comes to increasing engine sizes goes away from the CRF-F model lineup and now you have to dip into the CRF-R model lineup which is a whole new can of worms so-to-say. So lets now say you’re eyeballing the CRF250R which is the next step in progression with Honda. 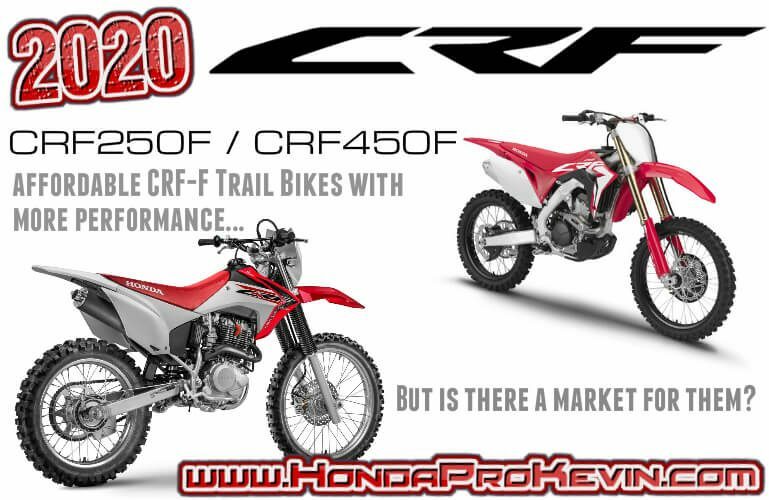 Not only does the price jump up significantly but also the added maintenance too when comparing the CRF230F to the CRF250R. 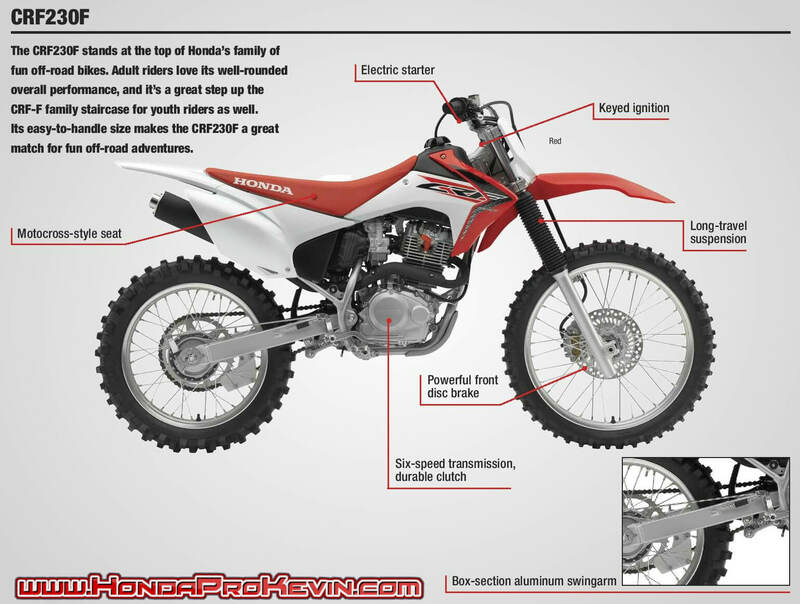 Why the big price jump on the CRF230F versus the CRF250R when you’re only jumping up 20cc in engine size some may ask… If you’re not familiar with dirt bikes or Honda dirt bikes in general, it’s almost crazy to compare the two as they are on different sides of the spectrum. Keep in mind I won’t be breaking down all of the nitty-gritty differences between them as we would all be here for another hour since they don’t share a single nut or bolt between them for the most part. Back to the topic at hand though, why is the CRF250R priced at $7,999 when the CRF230F is priced at $4,349, why is there a $3,650 difference? That’s almost twice as much money at the end of the day and if you’re not racing for the podium or a rider that just ‘has’ to have the performance level of a CRF-R model like the CRF250R or CRF450R etc then that price difference just may not be worth it at the end of the day when all you want to do is ride the trails with a bit more performance than what the CRF230F can offer. The difference in pricing all boils down to components used, materials, where they shaved every ounce possible with aluminum here and titanium there instead of steel etc with new electronics like launch control and just overall technology as the list goes on and on. Speaking on just engine performance alone, going from 19 horsepower on the CRF230F to 40+ horsepower, basically more than doubling the engine’s output while only gaining 20cc technically doesn’t come cheap. Internally the 250cc engine is a whole different animal and if you’d like to read a more in-depth breakdown as to how Honda was able to squeeze that much horsepower out of that small of an engine Click Here. When you break down all of the details like that, it’s clear as day as to why a bike of that caliber is priced so much higher than a basic plain-jane low-tech trail bike like the CRF230F. So that leads us to my opinion on that we have a massive hole in this market segment. If you want something ‘better’ than a CRF230F I’m forced to have to almost spend twice as much money for technology and performance etc that I or you may not need and if you opt for something larger than a 250 you’re going to have to crack that wallet open even more. I would personally love to see something alone the lines of a CRF250F or if that’s not a smart decision since they may want to keep the CRF230F around and some people may not see that extra money worth it for the CRF250F over the CRF230F depending on the improvements, we could always go old-school and bring back an engine size like the XR400 but on the CRF-F platform or even a de-tuned CRF450F sibling from the CRF450R like they did with the new CRF450L. However, if we went that 450cc route it’s going to drive the price up more to where it’s a big jump again going from the CRF230F to a CRF450F but it could still come in significantly cheaper than the CRF450R at $9,299 as some people still want that performance but don’t want to basically drop $10,000 on a dirt bike that’s strictly for the trails. In a perfect world it would be nice to see a CRF250F and CRF450F priced at around $5,500 and $7,000’ish for 2020. All hope isn’t lost yet for Honda to unveil and release a new dirt bike model to the lineup for the 2019 model lineup as we technically still have (1) more 2019 Motorcycle Announcement from Honda that will include CRF-F models and that is taking place in November of 2018. 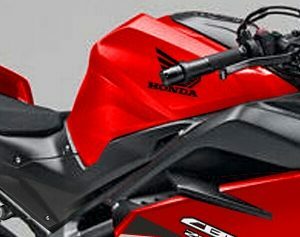 It could just be the 2019 CRF125F / CRF125FB and CRF110F models as we’ve already seen the 2019 CRF50F and CRF230F models so that’s all there is left aside from the CRF150F model. I’ve got my fingers crossed. As always, I want your opinions… Am I crazy? Do you agree that there is a hole in this segment of the market that needs to be filled? Are you one of those guys or girls that would buy a model that can squeeze in between the current gap? 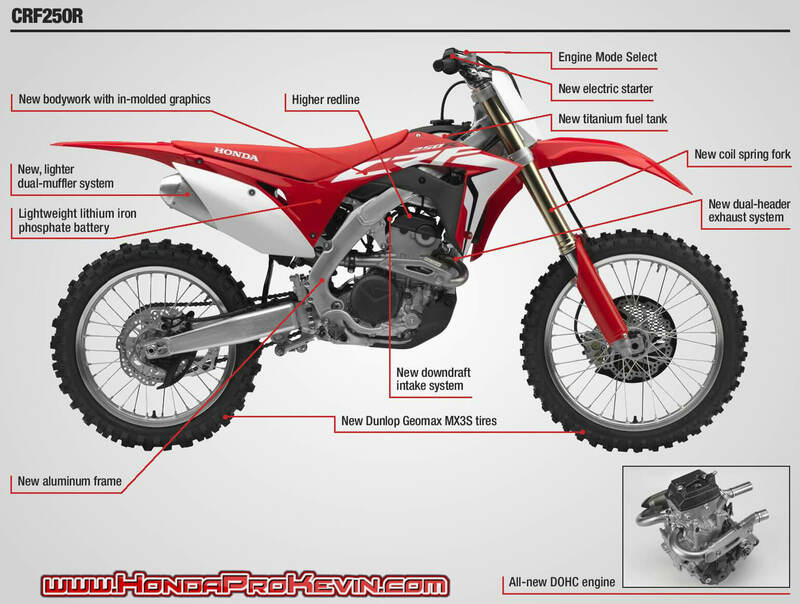 Or do you think there is something else that needs to be done in Honda’s CRF dirt bike lineup? Comment below and let me know what you guys think!